The Boy graduated from high school this year. In the fall he’ll be a college student. I have never been more proud of him. It seems Harold and I were just barely out of college when he came into our lives and we began raising him. So much has changed over the course of those 16 years. When I started college I had never used email because the internet was brand new. I owned a radio with a 5 CD changer and two cassette decks. Yes, I said CASSETTE. Needless to say, I have to help my family support Trevone as a Generation Z college student. This post may contain affiliate links. That means if you click a link and make a purchase, I will receive a small commission to help run this site. I only recommend products and services I have used and love. And know you will too. Like Millennials, GenZ-ers do everything digitally. And as frustrating as that can be, you can still accomplish your gratitude goal while utilizing their love of technology. Evite has thank you cards you can send by email. You can personalize the card with your favorite picture or upgrade to premium and send a short thank you video. Upgrade and get 15 premium invites FREE with the code: EVITELOVE. Click here to get started. How often did you run out of clean clothes in your first year of college? Did you set your laundry schedule by the number of clean underwear you had left? There is no worse feeling than preparing to wash a load of laundry only to discover you have no detergent. With detergent free laundry balls like these from Beron, your college student can get through an entire year of laundry with no detergent at all. Don’t force them to make the decision between clean clothes or snacks to make it through those all-nighters; because we all know how that will end. Best of all – you save money! One set costs about the same as a large container of detergent. If you run out of detergent, you’ll run out of dryer sheets too, right? These reusable wool dryer balls shorten the drying cycle and will save your student time. And once again you save money. Unlike the GenX college student, the GenZ college student is more eco-friendly and earth conscious. There is no trash produced when you use these all natural laundry aides. If your GenZ college student is a bit more traditional, you can invest in the Amazon Dash Button for laundry detergent, dryer sheets and so much more. You have to have an Amazon Prime Membership to participate in the dash button program, but it’s worth not getting stuck with tons of laundry during holiday visits, right? 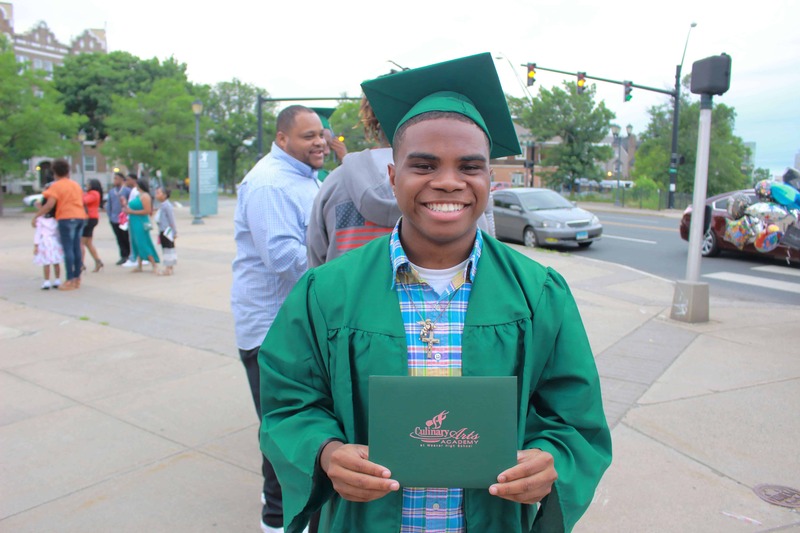 Because most of our family is spread out across the country, I created a website for people to see photos and send well wishes to Trevone on his graduation. There are many online cloud-based photo storage apps to keep your millennial’s device from filling up with all the selfies she will take or the snaps he will send. PhotoBucket, Prime Photos, Google Photos and TinyPic.com just to name a few. 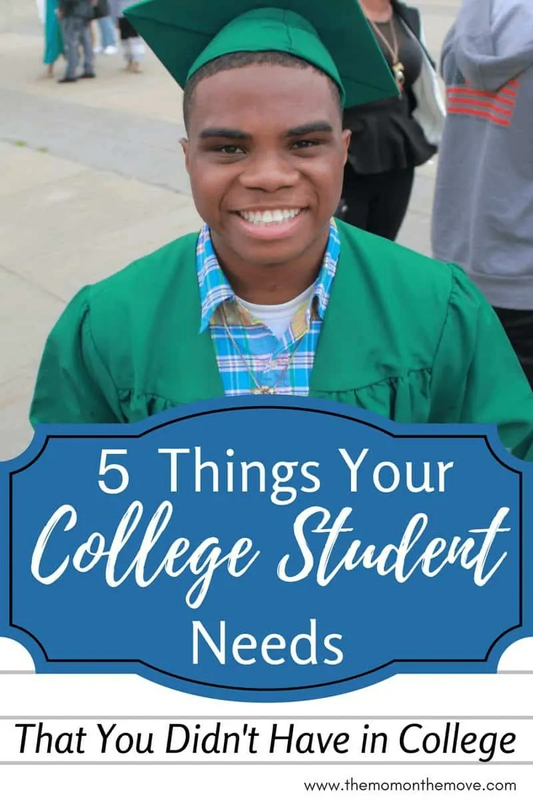 What are you doing to prepare to send your students off to college? Are you giving them items that didn’t exist when you were a college student? How was life different for you then than it is for him/her now? Can’t wait to ship my son off to college. It’s only 8 years away. I know a few kids heading off to college. Let me get these care packages together. Yes ma’am! All the parents of college students I know will be getting these tips! My kids just graduated college so I’m a very proud mama. Did think of the Evite thank you cards though. Smart! Congratulations Mom! Yes ma’am, Evite is my go to! I have never heard of these laundry balls. I need these and I’m way past done with college! I have to find out more of how these work. I have four more years until I am at that point but congrats to you. I had no idea about dryer balls and laundry balls. I need those in my life. LOL! Yes, Ty! They have been a life and a budget saver! This is some great advice for anyone entering college. Congrats to Trevone graduating high school and starting college in the fall. Congratulations on high school graduation! Just so you know you had me at detergent free laundry balls? Where have these been all of my life? How do they work? You just drop them in the washer on top of your clothes and run the cycle. You can add a few drops of essential oil to them for scent or add OxiClean to your load for tough stains. Recharge them in the sun for a couple hours every two weeks. That’s it! Awww! Congrats to Trevone! I enjoyed this. I loved my boom box with 5-CD changer. LOL! The “good ol days” – hahaha! Thank you! My kids don’t even know what a cassette is. He’s seen them, but his sisters have no idea!